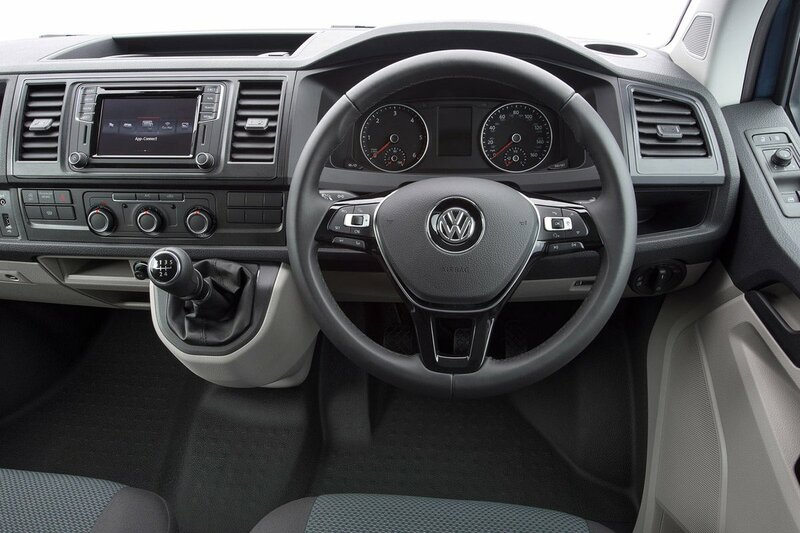 Volkswagen Transporter T6 Interior, Sat Nav, Dashboard | What Car? 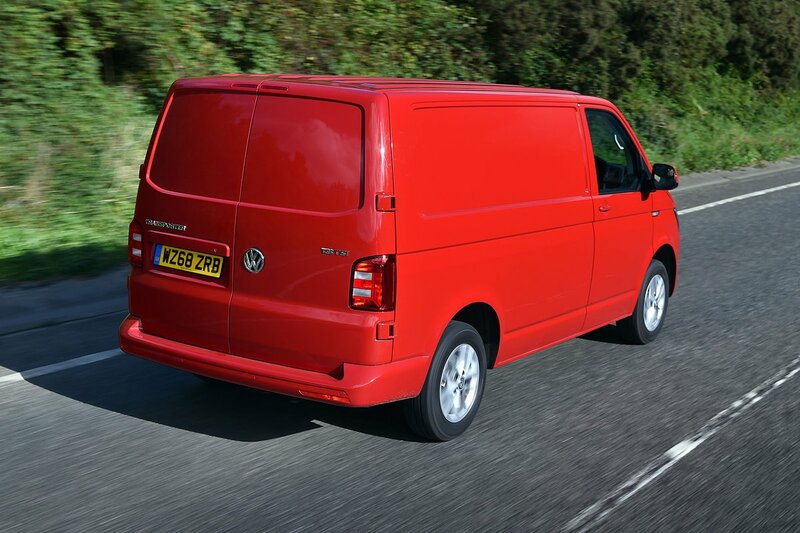 Volkswagen commercial vehicle interiors have often been a bit dreary, because they tend to prioritise functionality over appearance. 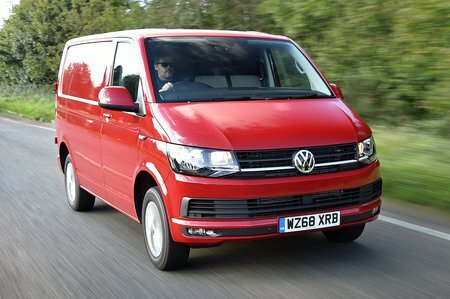 The T6 adheres to that principle, although there are touches of refinement across the cab, such as two-tone top and bottom dashboard sections, splashes of chrome trim and many different grades of plastic. Storage is ample, with an A4-sized tray housing a 12V socket on top of the centre console and three well-sized sections in the passenger-side dashboard above a modest lockable glovebox. Two cupholders can also be found at either side of the dash, but beware of their shallowness. There’s also a simplistic but neat heating control panel between the gearshift and the touchscreen. With so many open compartments, concealed storage is an issue, but overhead storage is an option. The seats are fully adjustable, but the bases are very firm and can be uncomfortable on long drives. Electric windows and heated electric mirrors are standard, but Trendline adds an armrest, side door storage and additional sound deadening. Opting for top-spec Highline adds a heated windscreen, automatic lights and wipers, climate control and a leather-covered steering wheel.